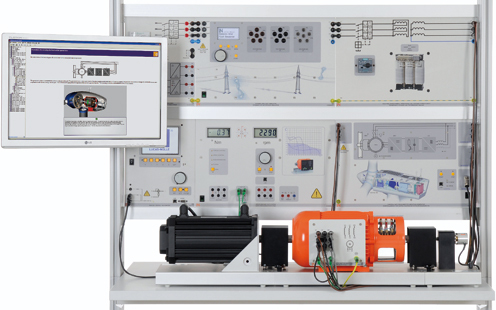 This equipment set is designed for investigating modern wind power plants incorporating double-fed induction generators. The wind can be emulated realistically by means of a servo machine test stand and ”WindSim“ software. A PC can be connected for convenient operation and visualisation during the experiments. The associated multimedia course imparts theory besides supporting experiment procedures and evaluation of measurement data.